The Mozilla Support Blog | Rocking the helpful web since 2007. 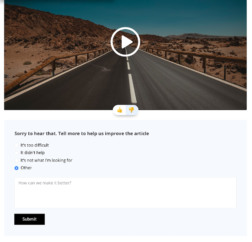 The two tests we are running are trying a bunch of different things, such as screengrabs, video clips, highlights, better feedback options on articles, and better navigation. On both experiments we have a section of related articles at the bottom. A breadcrumb menu should make it clearer to users where they are. 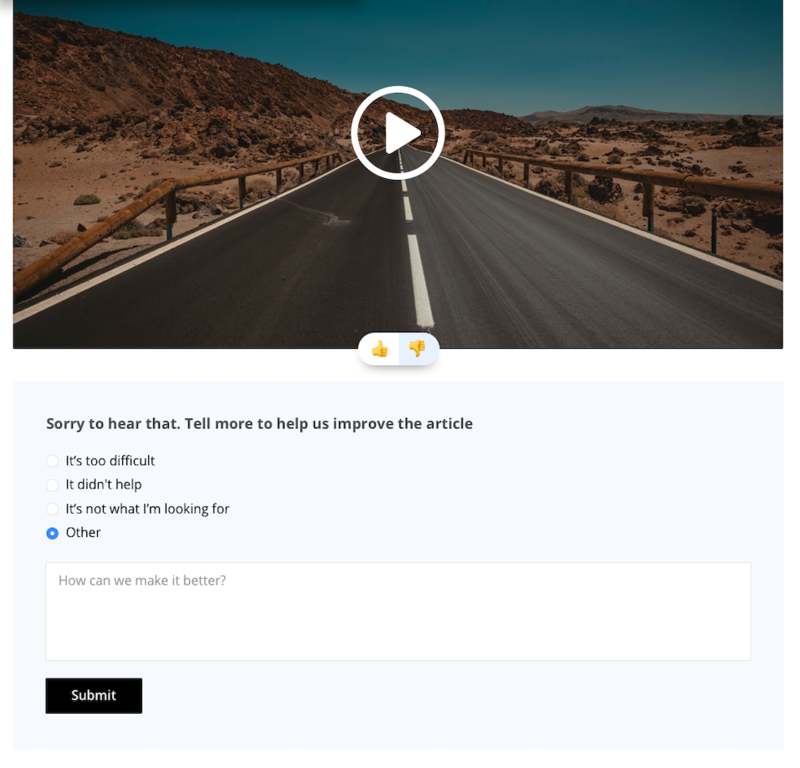 Feedback points through up/down icons with a follow up question to understand to allow for more feedback. Highlights in the text to help the user see the important areas. 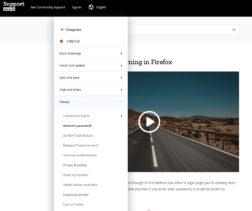 Hamburger menu to allow for users to focus on the content not the menu. Drop down to see wider menu. The test will run for the next 2-3 weeks and we will report back on here and our weekly SUMO meeting on the results and next steps. The test is currently serving for 50% of visitors and you can ‘maybe’ see the tests by going here or here. Hello, current and future Mozillians! I hope you can still remember that last month we kicked off a “Top 20 Sprint” for several locales available on the Support site. You can read more about the reasons behind it here and the way it had been going here. 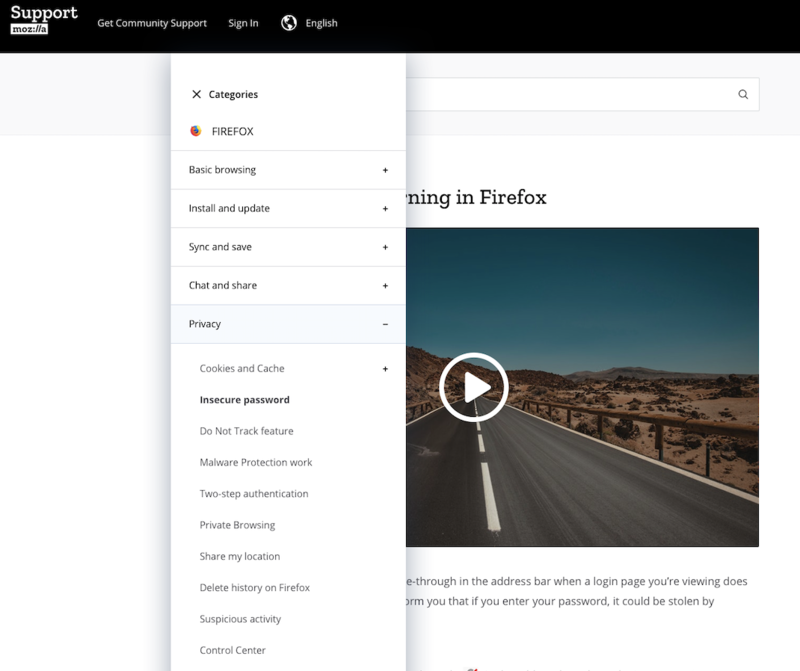 I wanted to share with you the progress our community has made over the last weeks and call out those who have contributed towards Mozilla’s broader linguistic coverage of support content, making all the possible versions of Firefox easier to use for millions of international users. After the impressive 1st milestone rush by Ahmad, the torch has been picked up by FFus3r, who has been working for the last few weeks on adding new and updated versions of Knowledge Base articles through the Arabic dashboard. شكرا لكم! Bosnian localizers have been quiet for a while now, so I hope we can hear from kicin again soon, as there is still time to add more content in that locale to our Knowledge Base. Similarly to Bosnian, there’s not a lot of action taking place in the Gujarati part of the Knowledge Base, but hopefully we can see the localizers rally once more to reach the Top 50 goal soon. Hindi localizers have continued to contribute to the Knowledge Base, but with slightly diminished contributions, there’s still space for more contributions! If you know Hindi and want to join forces with Mahtab and Ritesh Raj, now is the time! It seems that the Tamil side of the Knowledge Base will have to wait for better days and more contributors with energy and time to spare. Here’s to hoping we can see that happen soon! To finish off the sprint part for the “magnificent 7” locales that responded postively to my summer call to action on a high note, I am happy to report that చిలాబు, sandeep, and Dinesh have continued improving the Knowledge Base with their translations and are well on the way of hitting the Top 50 articles if they keep up. ధన్యవాదాలు! More news from all localizers of the above locales soon… While we wrap up September and move into October. In the meantime, many other contributors have kept their parts of the Knowledge Base busy and updated… I would like to call out a few of them and thank them on behalf of the millions of users benefiting from their shared enthusiasm and knowledge. The Czech team of soucet and Michal Stanke keep churning out update after update. Same goes for the Danish tag team of Joergen and Kim Ludvigsen. The unstoppable Artist makes most of the German Knowledge Base possible, together with graba. 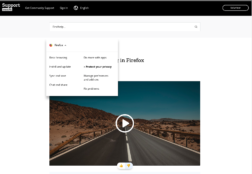 Greek Firefox users have a lot to thank Jim Spentzos for, while those who prefer to use Spanish while browsing our site can enjoy high quality content coming from Ángela Velo (with us since 2012!). Jarmo is still looking for more people to help out with Finnish, but that does not stop him from contributing additional translations. The French language is proudly (and efficiently) supported by Mozinet, Cécile, YD, J2m06, Goofy , and Olpouin (a recent addition to the mix there – hello!). Hungarian localizers Meskó Balázs and Kéménczy Kálmán slowly but steadily enable and improve the Knowledge Base for users over the blue Danube, while Underpass and Michele Rodaro do the same for users on both shored of Tiber (and way beyond). Over in Japan, dskmori (also active in Korean! ), kenyama, hamasaki, and marsf provide great content for users who seem to (on average) spend the most time on each page they visit. Georgianizator is slowly working through the (obviously) Georgian (also known as Kartuli) Knowledge Base. For Korea, Narae Kim and seulgi work together with dskmori on more updates. Tonnes (another localization MozGiant, active in the Knowledge Base – and not only – since 2010!) makes Dutch happen, while for Polish we have TyDraniu and Teo. MozBrazilians continue supporting their huge userbase through the work ofJhonatas Rodrigues, Marcelo Ghelman, leorockbar, and wikena (another new name, hello!). Their tireless Portuguese counterparts on the other side of the ocean are Alberto Castro, ManSil and Cláudio Esperança, while over on the other side of Europe, the Russian trio of Valery Ledovskoy, Anticisco Freeman, and Harry is echoing the hard work of other localizers in the Cyrillic script. kusavica and marcel11 keep clarifying Firefox in their own words for Slovak users, just like Lan and Rok do for Slovenians. The Turkish language is represented and supported by Burhan Keleş, SUNR, OmTi, and Selim Şumlu. To wrap the long list of contributors up, we have Bor, ChenYJ, wxie, Yang Hanlin and xiaolu contributing for the benefit of all our Chinese users. Each one of the people listed above helps countless others through their contributions to the open and helpful web that Mozilla is a part of. Adding their energy and skills to the language rainbow of the web, they help keep the web beautiful in its variety of cultures represented through modern and living languages. Thank you all and may your weekend be unforgettable! Keep rocking the helpful web! Firefox 62 SUMO Days are around the corner! In a week! Like Twitter and we have not seen you in a while? That is OK! Welcome back! Please say “hello”! We have some new friends answering questions, you can ask them for help on the live chat IRC channels #aoa or #sumo. We also have updated Common Responses that you can use when replying with the #fxhelp tweet tag. If you need a quick reminder of how things work, please use the guidelines to get started again. We can always use your help. See you online real soon!